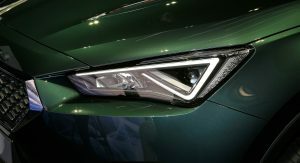 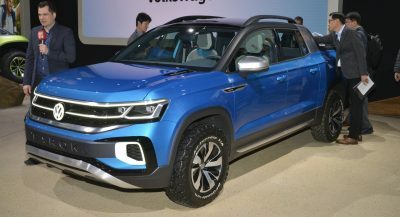 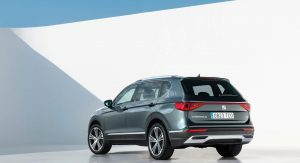 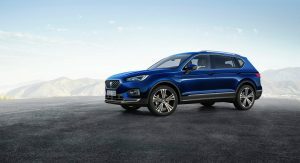 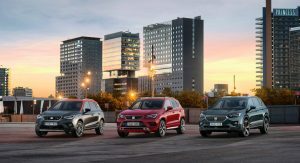 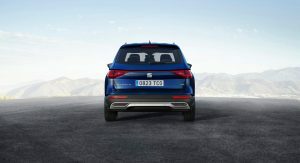 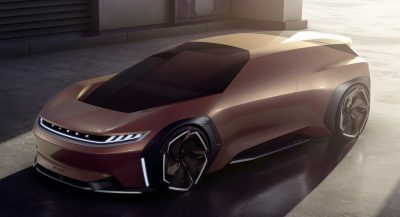 SEAT’s crossover lineup has been slowly expanding over the past few years and the company is using the Paris Motor Show to introduce its biggest model yet. 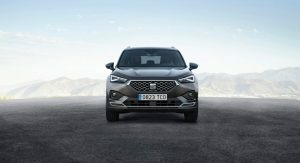 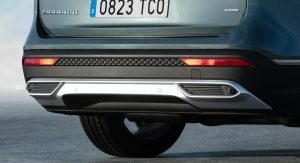 Designed to appeal to growing families, the 2019 Tarraco slots above the Ateca and features an evolutionary design which hints at the company’s future styling language. 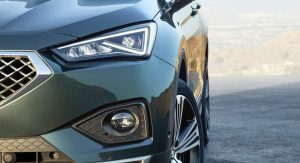 Starting up front, the crossover has a prominent grille and LED headlights with distinctive daytime running lights. 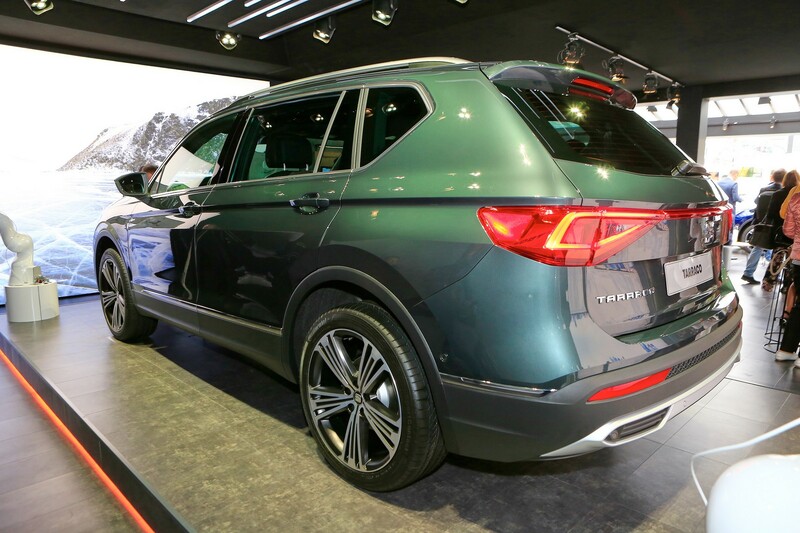 The model also features plastic body cladding, strong character lines and plenty of chrome trim. 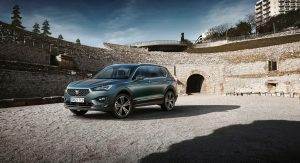 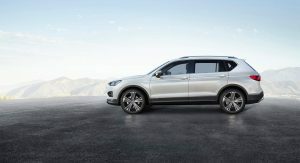 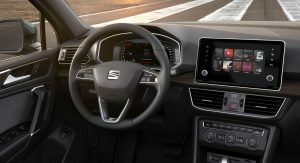 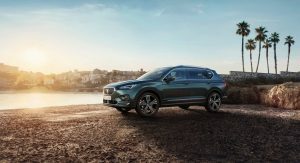 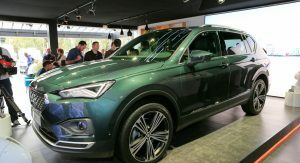 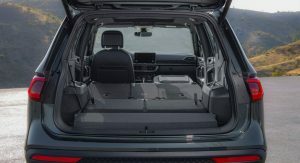 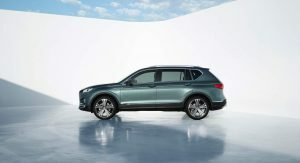 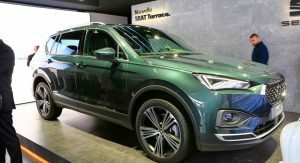 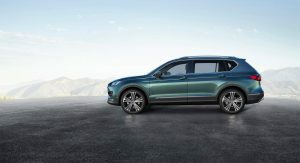 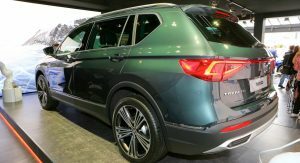 The cabin echoes the Skoda Kodiaq, but the Tarraco has a unique dashboard, a revised steering wheel and an 8-inch infotainment system with gesture control technology. 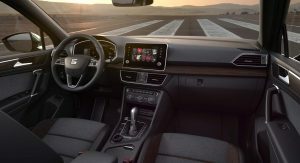 Other highlights include a 10.25-inch digital instrument cluster and seating for up to seven people. 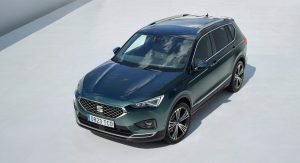 Sticking with the technology theme, the Tarraco will come standard with an assortment of driver assistance systems including Front Assist and Lane Assist. 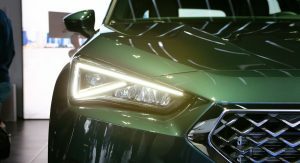 Customers will also be able to order Adaptive Cruise Control, Blind Spot Detection, Traffic Sign Recognition and Traffic Jam Assist. 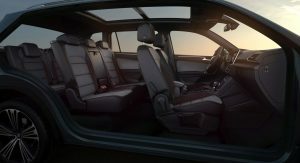 Under the hood, there are three different engines. The entry-level petrol unit is a turbocharged 1.5-liter four-cylinder that produces 148 hp (110 kW / 150 PS). 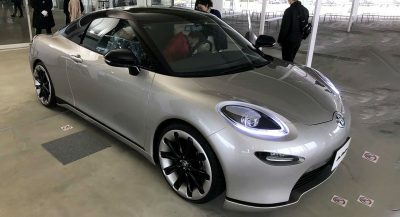 It is connected to a six-speed manual transmission which sends power to the front wheels. 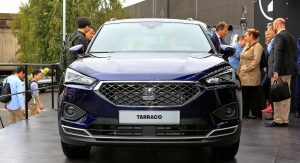 The Tarraco can also be equipped with a turbocharged 2.0-liter four-cylinder which develops 187 hp (139 kW / 190 PS). 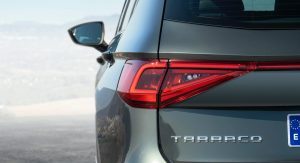 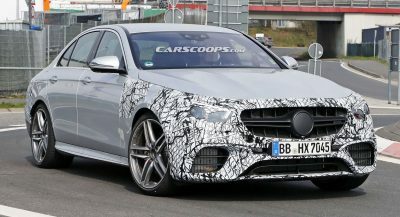 This particular engine is paired to a seven-speed DSG gearbox and a standard all-wheel drive system. 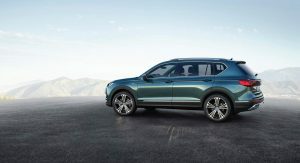 On the diesel side, there’s a 2.0-liter four-cylinder engine with outputs of 148 hp (110 kW / 150 PS) and 187 hp (139 kW / 190 PS). 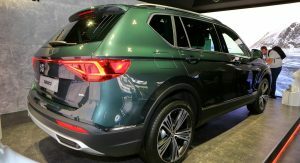 The entry-level unit is available in front- and all-wheel drive configurations, while the more powerful engine is offered exclusively with the DSG gearbox and a 4Drive system. 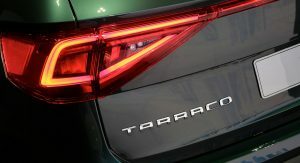 Later on, the Tarraco will be offered with “alternative powertrain technologies.” The company declined to elaborate, but we can likely expect a plug-in hybrid variant. 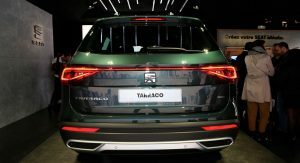 The Tarraco rides on the long-wheelbase MQB-A architecture and features a Dynamic Chassis Control system which automatically adjusts itself depending on the road surface and driving style. 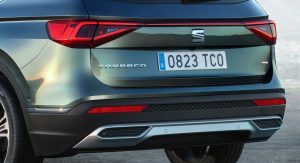 While some may doubt the need for yet another crossover, SEAT was rather blunt about their reasoning. 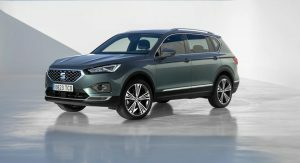 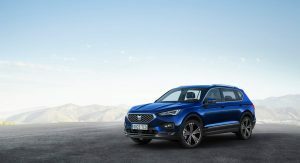 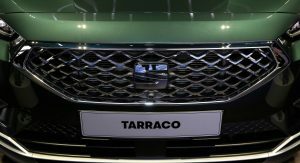 Besides bringing in new customers and boosting their image, the Tarraco will have an “important effect on profits” as the crossover will make a “high financial contribution” to the company’s bottom line. 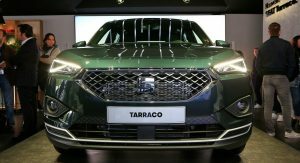 The Tarraco will be launched early next year and pre-orders will begin in December. 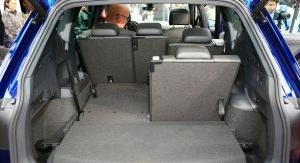 “The cabin echoes the Skoda Kodiaq, but the Tarraco has a unique dashboard.” Well, Tarraco echoes VW Tiguan XL entirely. 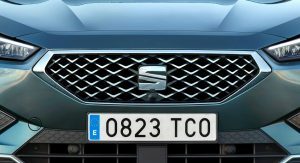 It’s a classical rebadging with a different front grill, front and back lights and slightly redesigned dashboard. 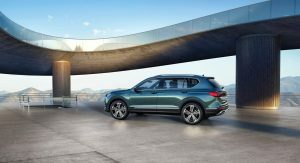 copy from alfa romeo stelvio !